After launching on iOS back in late December, Grand Theft Auto: Liberty City Stories is now available for Android devices as well. 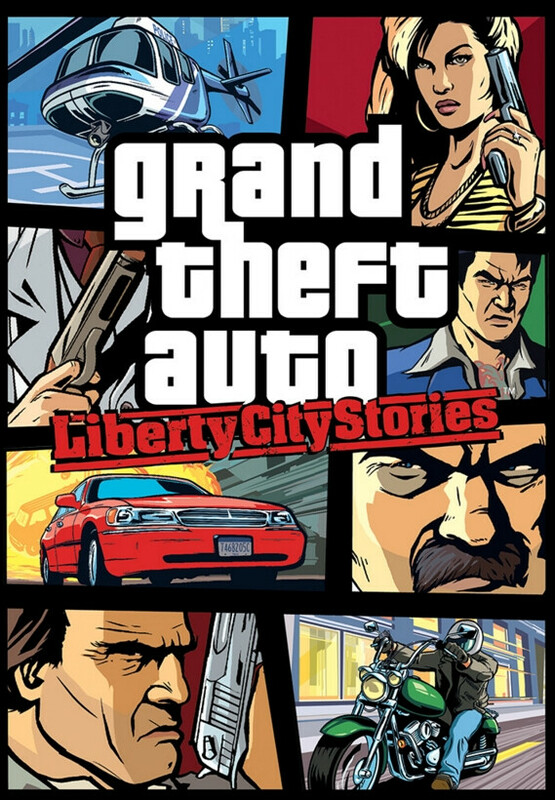 Originally launched for the PlayStation Portable back in 2005, GTA: Liberty City Stories has made a comeback on mobile platforms with numerous enhancements that bring the game up to par with previous mobile GTA titles. In GTA: Liberty City Stories users play the role of Toni Cipriani, a member of the Leone crime family, freshly returned from prison, where he spent time for killing a man. Throughout the game, Toni struggles to place the Leoni family back in control of Liberty City, which is being destroyed by corruption, organized crime, drug trafficking, and union strikes. That's just the plot, one that you can choose to follow whenever you want, but the open world system that GTA pioneered leaves plenty of room for raising mayhem on the Liberty City streets just for fun. Among the enhancements brought in the iOS and Android version, Rockstar highlights higher-resolution textures and graphics, real-time lighting and shadows, and a better draw distance, controls which are optimized for touchscreen devices, as well as support for a physical controller. One neat feature that Rockstar has baked into the game is the ability to sync up save games across platforms. This way, you can do some missions at home on the PS 2 or PS 3, and then continue from where you left off on your iOS/Android device when on the go. The game is currently available in both the iTunes Store and the Play Store at the promotional price of $3.99, which represents a 40% discount compared to the usual retail price. I honestly felt Vice City Stories was more entertaining. Damn what do you have? Why not get something better? Or better yet wait for something better that's right around the corner? Because I was dumb enough to trade it for my Note 5, and if I sold it now, I would have to deal with around $150 loss in less than 3 days. And I didn't want to wait for what's coming next, because as good as the S7 is going to be, I don't want another phone with a glass back. And the lack of front speakers on the m10 made me lose any interest left in it. You traded a Note 5 for a M9+, oh my. I'm assuming they give you money back for that trade? Then why not get a nexus 6p? I think you made a bad trade mate. If big and powerful phones is what you like then maybe you should have thought about selling the note 5 and getting a mate 8 unless QHD is must have for you. i can see you ending up getting a note 6 by the end of the year. Sadly, I don't like big phones any more, and that's one if the main reasons I parted away from my Note 5. I wanted a 5 to 5.2" smartphone, with front firing speakers, good camera, fingerprint scanner, and great design, all in a narrower phone, and the only phone with those specifications was the m9+. I would've loved to get the S7, but the return of glass back was a turn off for me. If only the 5X had front facing speakers. Z5 has front facing speakers and the camera is good also the glass is frosted so no fingerprints. If the game's creators did some research, they would've known that being chased by cops through Liberty City is a deadly proposition. Arthur McDuffie got his a** beat by 4 Miami cops which led to the Liberty City Riots of 1980. The first, and deadliest, of 4 riots in the 80s because of Miami cops killing brothers and getting away with it in the courts. Ferguson wasn't s**t compared to these. So what you're saying is that games, which are artistic impressions basically, worlds of fantasy if you will, need to be historically correct? What happens to your artistic freedom then? How do you know that they didn't do the research, but decided nah fcuk it lets do it our way? Good Lord, you have the comprehension skills of a 2 year-old. I was referring to the title, not the game itself. Do you think someone might have a problem with Battlefield 1942: Auschwitz Stories? Historically sensitive places need to be treated with a modicum of respect. Nice! Getting it to play on my Shield TV. The sad part is smartphones are capable of graphics close to Ps3 quality but almost no one makes AAA games unless they're ports of 10 year old games. AAA title would have price tag of $40+ and, hell NO, I'm not paying that money for a game. Coz mobile gamers are poor? I'm a mobile gamer too but mainly a PC gamer! I buy PC games, but paying big cash for mobile games is unacceptable, at least for me! because mobile market if flooded with "free" to play titles and nobody is buying games. And on android is very easy to pirate. That's why 99% of the games on the market are s**t.
Nostalgia firstly. Secondly we are getting older guys, sad but true. The future generations are already all about touch screen games, that's the experience they prefer. it may not be our prefered method, and we might have played it before, but they were born yesterday, haven't played it and love touch. Everyone needs to remember that the earth belongs to the younger generations, because the older generation are bound to die out a lot quicker. You may be a big shot now, but you will be a dead shot pretty soon, and that kid your looking down on now, will take your place, and think of your tech that you love so much as outdated crap... One day the kids born today will say "can you believe they used big metal and glass devices to communicate back in the day? Yeah you had to lug it around everywhere you go and stuff". Never ending cycle.